Cup routines are numerous. 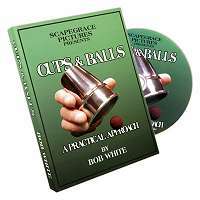 Crazy Ball is an innovative and highly original version in which you will find almost all of the key effects of magic. Crazy Ball is full of crazy effects (appearances, disappearances, transpositions, penetrations, transformations and levitations). Crazy Ball is the result of a long creative research project which was undertaken by its creator, Bruno COPIN. Bruno's work has received prizes in many international competitions. 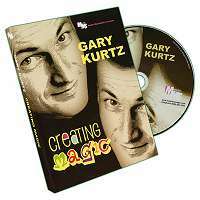 He presented Crazy Ball on the TV show Special Las Vegas (Starling productions) which featured some of the world's greatest magicians. The show was presented by the famous French magician, Sylvain MIROUF. To highlight the strong effects contained in this routine, original music was composed by specialists. This routine is literally a feat of magic when presented live by Bruno because in order to perform it perfect timing is required between the sound effects and magic gestures. You will be able to isolate each individual effect and organize them to suit your own timing. 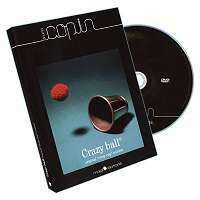 Instruction booklet and a sample of Copin's Invisible Thread are included.